Stout and Teague is proud to announce that American Humane Association has signed a new 5-year lease for a portion of the third floor at 1400 16th Street NW, also known as the Resources & Conservation Center (RCC). This is the non-profit’s national headquarter office and has occupied the space since the beginning of 2011. The Resources & Conservation Center building is a 191,000 sq. ft. Class-A office building located in the CBD submarket. The Energy Star rated building features an on-site café, 2-acre courtyard with Wi-Fi access, modern conference center, an underground garage with ample parking spaces and access to a green-roof terrace and a newly renovated fitness center. RCC recently completed a renovation of its main lobby including commissioned art pieces by Susan Venable, a Santa Barbara, CA artist. 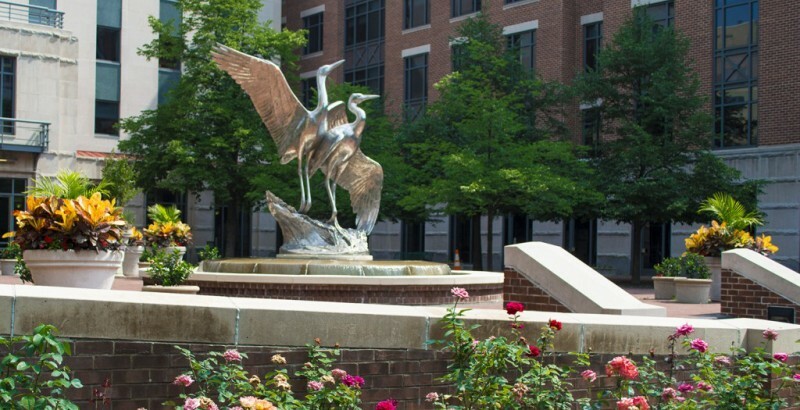 Situated in the Dupont Circle neighborhood, RCC is in walking distance from the Dupont Circle Metro Station, numerous boutique shops and restaurants. The not-for-profit American Humane Association was founded in 1877. Its mission is to create a more humane and compassionate world by ending abuse and neglect of children and animals. American Humane Association’s offices are located in Denver, Los Angeles, and Washington, D.C. As the nation’s voice for the protection of children and animals, American Humane Association reaches millions of people every day through groundbreaking research, education, training and services that span a wide network of organizations, agencies and businesses. Learn more at www.americanhumane.org. Michael Gordon, Vice President of Stout and Teague represented the landlord, RCC,LP. Kurt Richter of Cassidy Turley represented American Humane Association.